It’s not exactly our region’s culinary capital. 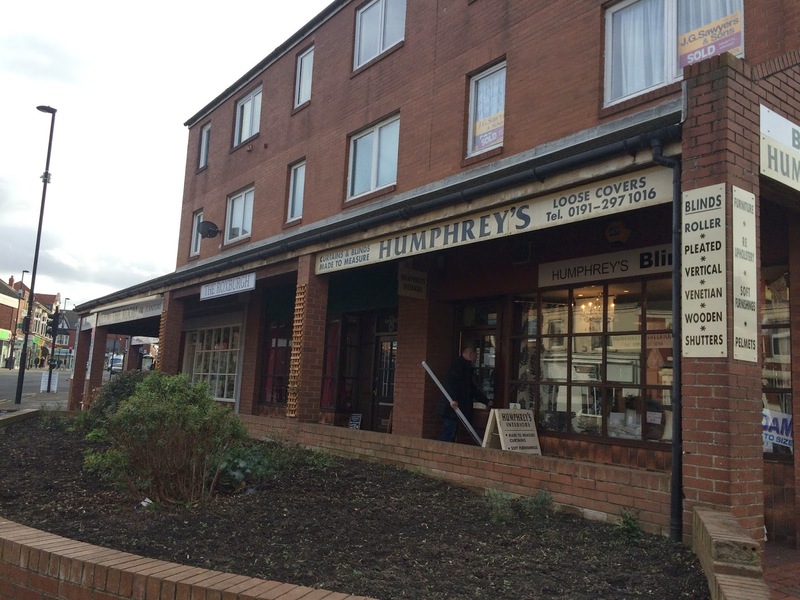 In fact, this is the first time a Whitley Bay establishment has made it onto these pages. 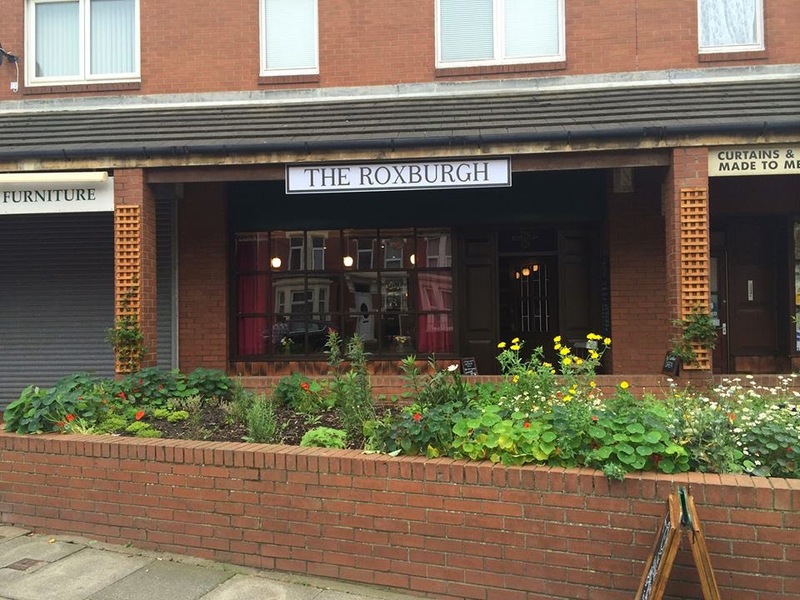 Hidden away behind the main drag, set back from Park Avenue in a tiny parade of shops (upholstery, blinds and furniture), is a miniscule café called The Roxburgh. It’s unlicensed, only open in daytime, apart from Saturdays, and it’s fantastic. The owner is a chef called Gary Dall. He’s a man with a past. Back in October 2003, The Chronicle reported “10 jobless lads being given a dream chance to train as chefs at three of the region's top hotels”. It was a Jamie Oliver-type experiment called Chef School, in conjunction with Newcastle College. Gary Dall was one of those lads. He was then 22 and had left school to train as a fitter at Siemens. Thanks to Chef School, he found himself cooking at The Copthorne, and then stayed in the industry, ending up at Jesmond Dene House when it first opened under Terry Laybourne. That must have been an incredible training ground for any young chef. 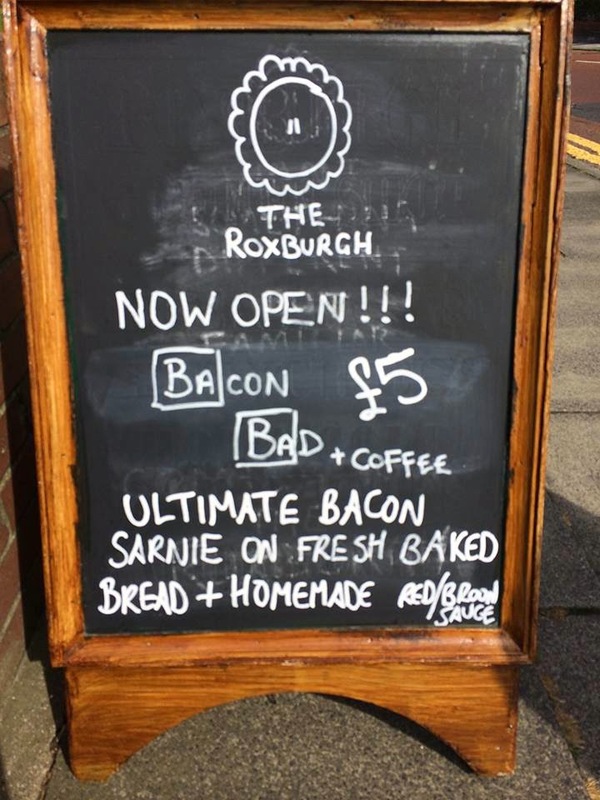 At the first bite of The Roxburgh’s food, I asked the waitress if the chef had been trained by Laybourne. That man has left his distinctive fingerprints on virtually all the good cooking in our region. Laybourne still remembers Gary as a very competent middle-ranking chef, who eventually left for Australia (along with several others, including Tom Anglesea), and cooked for a while in Sydney. Later he worked as a private chef for rock bands on tour. However, the lad from Wallsend always hankered after his own place. 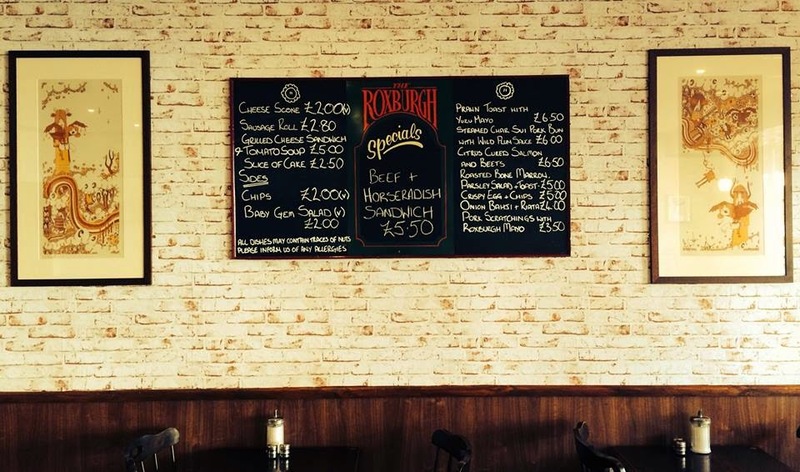 Hence The Roxburgh. After the glamour of the tour bus, this couldn’t be a greater contrast, serving up breakfast, lunch and afternoon tea to Whitley mums and grans. At least I’m guessing that’s his target market, for there were five high chairs stacked up by the door and only six tables. There were toddlers floating around and everyone, seemed to be loving the giant scones. 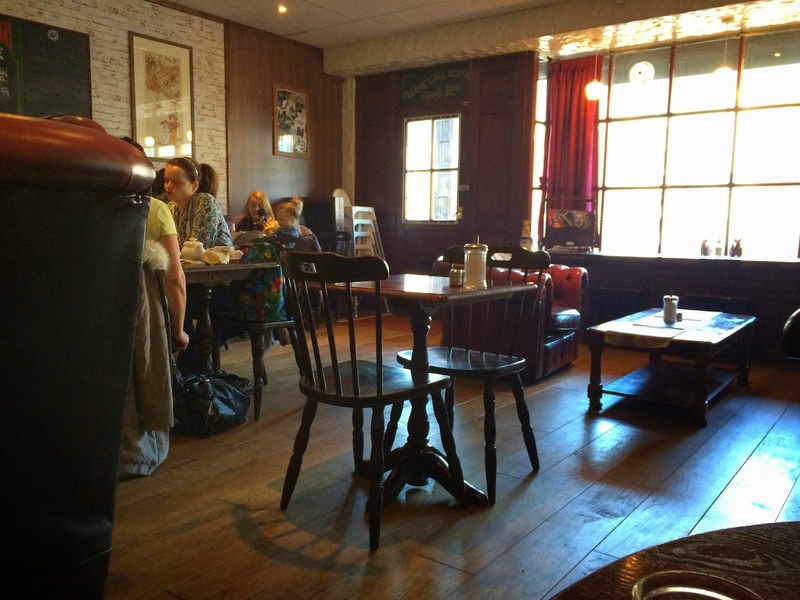 It’s a modest, relaxed, social place, with wooden furniture, blackboards for menus and wallpaper made to look like whitewashed brick. There are comfy armchairs for snoozing, but there the resemblance to Starbucks ends. A sign in the corner warns ‘No! We don’t have wifi. 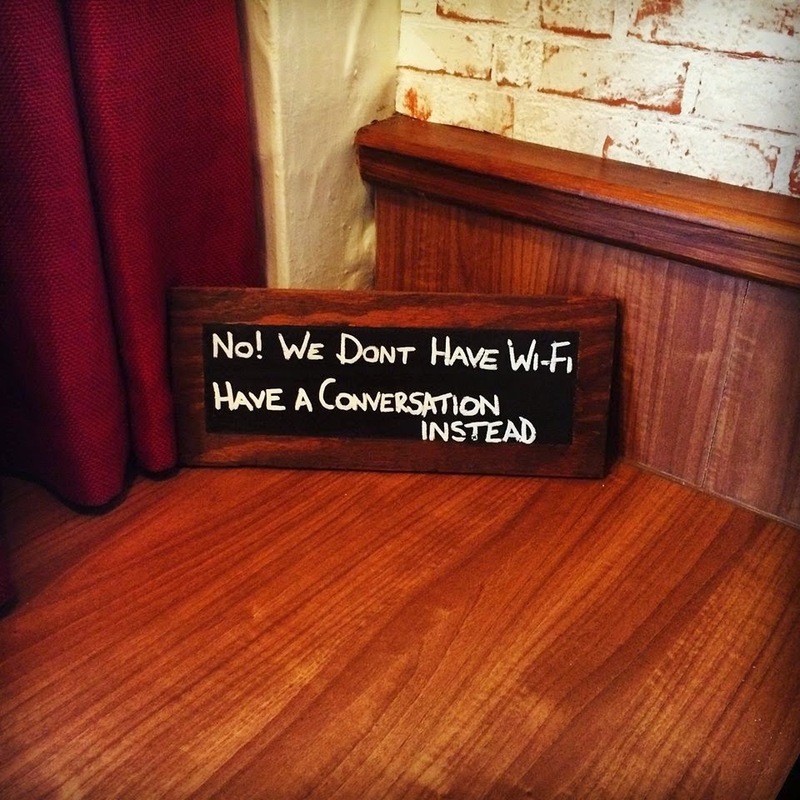 Have a conversation instead’. So I switched off my phone, and began to unwind. 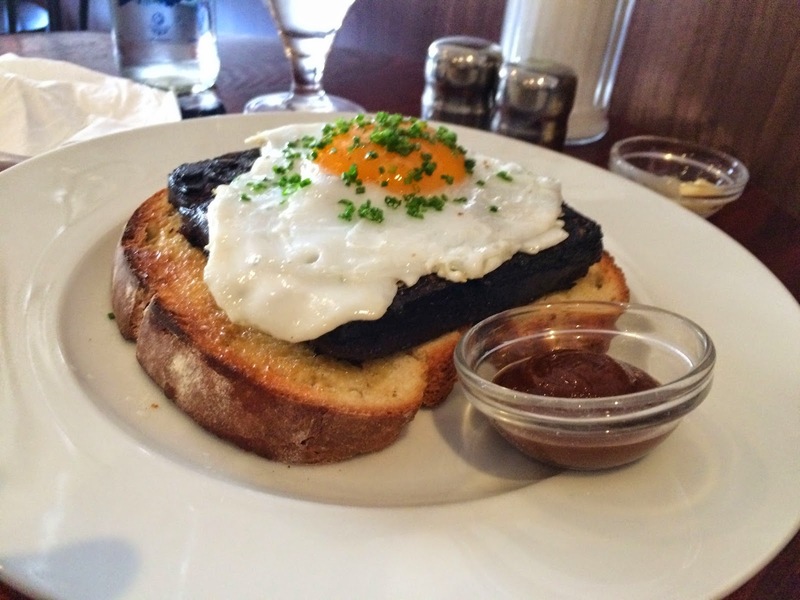 There’s a regular menu of soup, giant sausage rolls, bacon butties (called BAcon BAd, with homemade bread), onion and chive tart, and a daily special – on this day it was black pudding with duck egg on toast. In terms of menu, so far so normal, but what makes this place extraordinary is that every single item is home made, cooked by Gary in the world’s smallest kitchen. 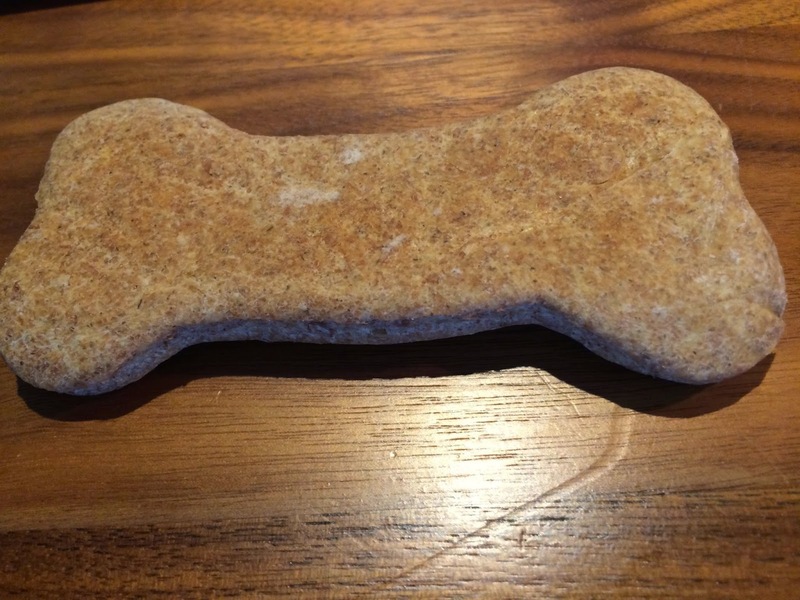 Including the dog biscuits. These were very special. I bought three (£2.50) for Diner Dog. They contained bone marrow, almost too good for a dog (and the mutt very nearly didn’t get them, for after one sniff, I nearly scoffed them with my cappuccino). 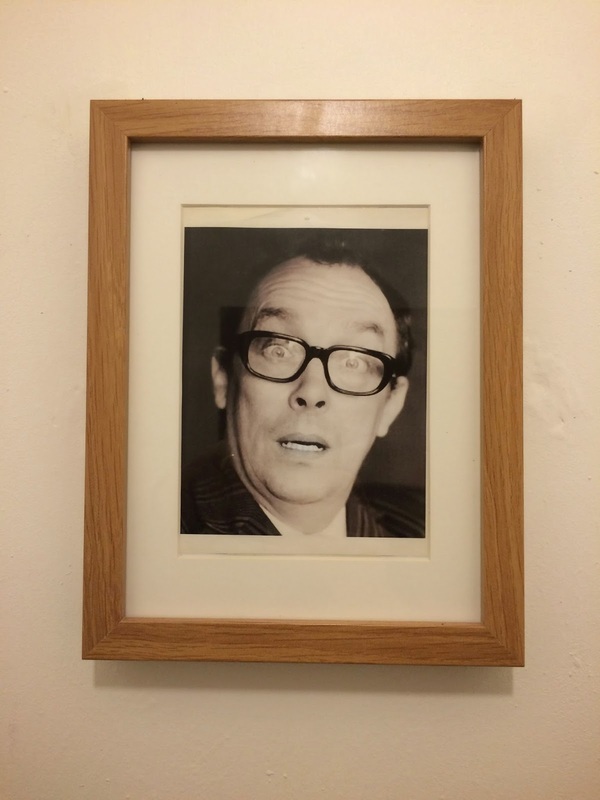 In the loo there's a picture of Eric Morecambe looking very surprised. Not half as much as I was by the standard of cooking. 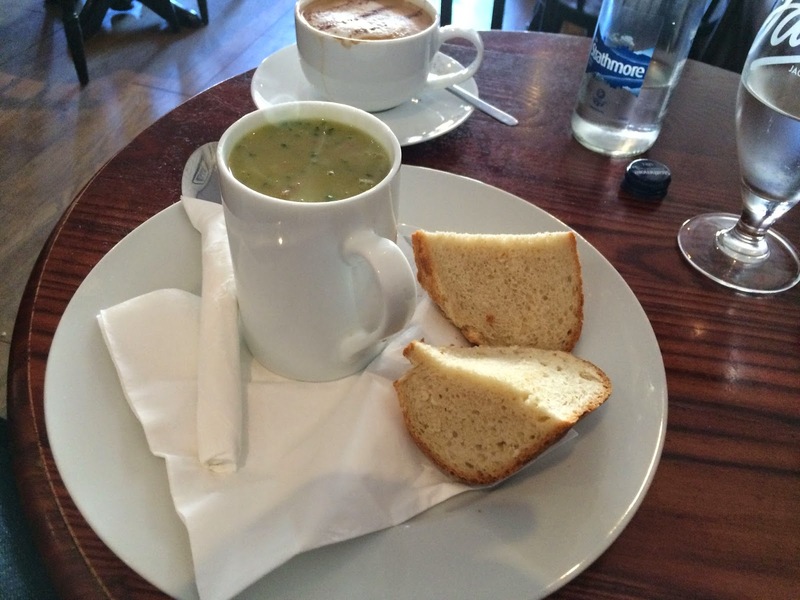 Soup of the day (£3.75) was pea and ham. Big chunks of gammon floated inside a broth that was as fresh as the homemade stock that produced it, with parsley. And the bread, two crusty slabs cut from the freshest of homemade rolls, was terrific. So too was the slice of sourdough that sat under the doorstep of black pudding. Actually, it was bigger than a doorstep, it was a paving slab of black pudding: spicy, properly fatty, utterly special, topped with an excellent fried duck egg sprinkled with chives. Best of all was the sauce on the side. It was fruity and tangy (apple, I think, and I definitely tasted tamarind) and was so good, I said they should bottle it. Too late: they already do. I popped one into my bag for Mrs Diner, along with the dog biscuits. The portions here are so generous, I couldn’t possibly have found room for one of the chocolate fudge brownies, or a scone. It’s the sort of place you’d want to return to again and again, especially good if you have a dog. They trotted in with their owners from time to time, fresh from a run on the beach, ready for a bone marrow biscuit and a snooze under the comfy armchairs. Diner Dog is hooked. He nearly wagged his tail off when I produced the first biscuit, and I have never seen him eat anything as fast. 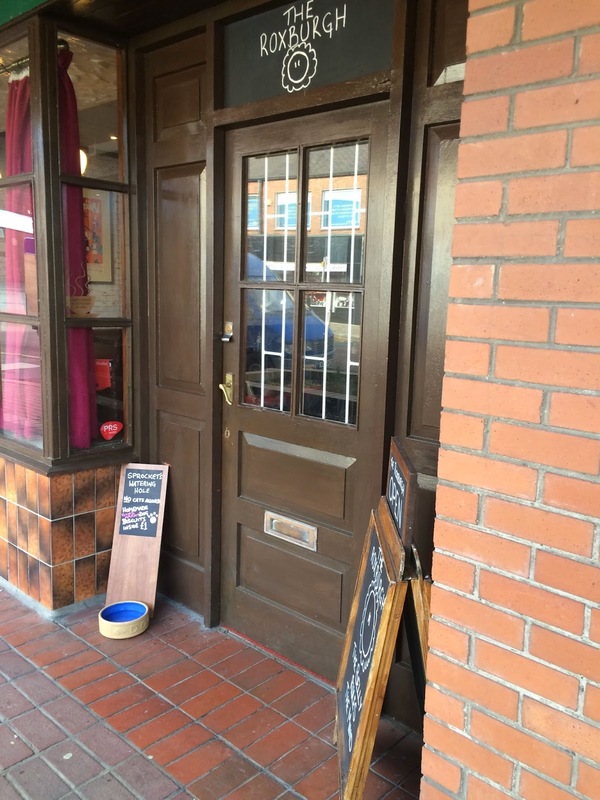 If there were a Michelin guide for dog dining, this place would have three stars. As I said, it’s only open in the daytime, but Gary recently started offering a four-course set menu on Saturday nights, when you can bring your own wine. If it all goes well (as it deserves to - see note above), he plans to add Friday nights to the mix. But he says he needs to buy a second oven first. The kitchen is so cramped, he’s already at capacity. So book early. oh great find ...will pop along to taste his wares! Love being next door but one to the Roxburgh. ..Gary is a top guy..oozes passion for his craft,he has drive and ambition ....whitley Bay should be proud he has settled here .